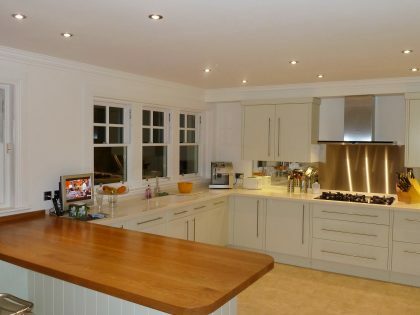 Made to Measure Wide Planked or Single Staved Worktops. 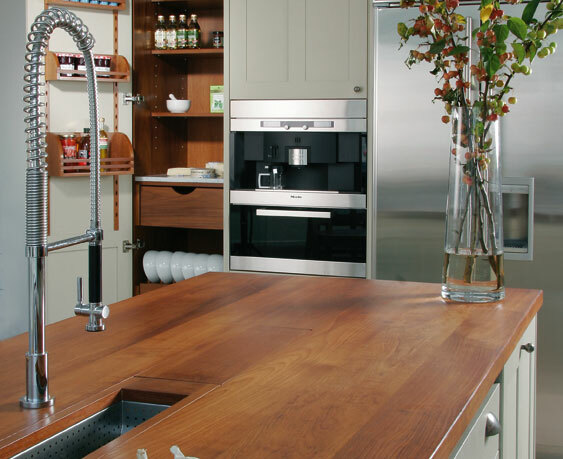 Nothing will give your kitchen a warmer, more natural, feel than choosing wood for your worktop surface. 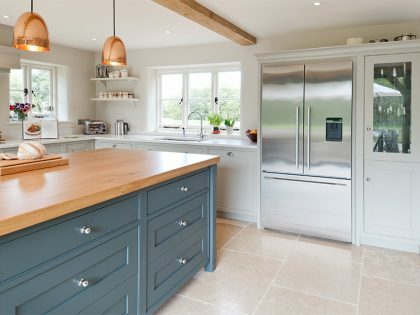 Softening the man-made elements such stainless steel appliances, wooden worktops add to the character, style and versatility of your kitchen. 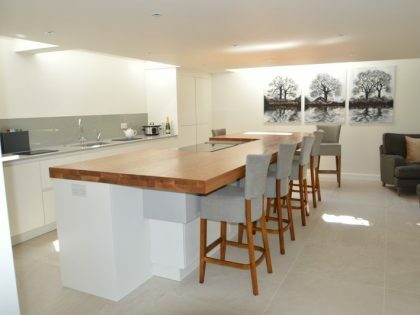 Bordercraft will build your worktop to the exact shape you require. 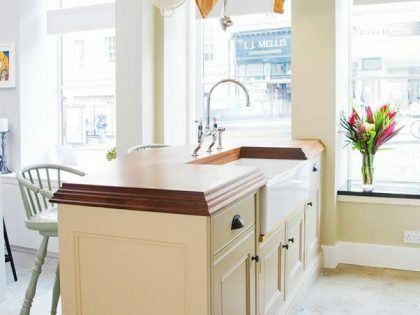 You can choose a wide range of detailing, including knife slots, inserts for pastry or bread boards, in-lay in contrasting timbers, lids for waste chutes and a choice of up stands. 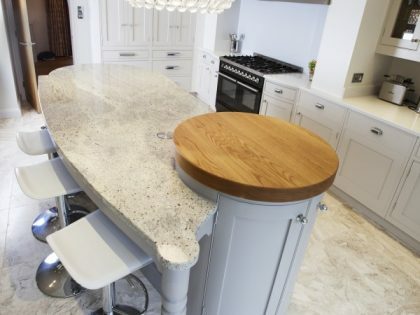 The best person to design your worktop is you – no one else will be able to identify your exact needs better! 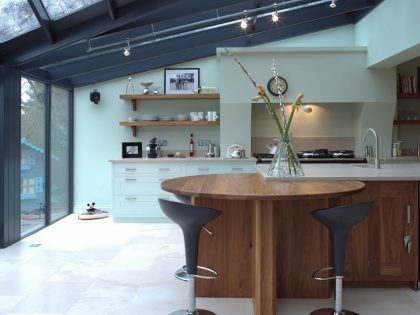 The joy of a bespoke worktop is that you can set your mind free. 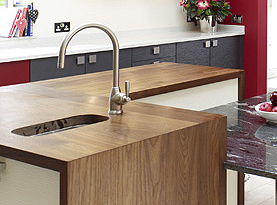 Worktops can be any shape and don’t have to follow the contours of the units supporting them. You can highlight or reflect other features with great effect. 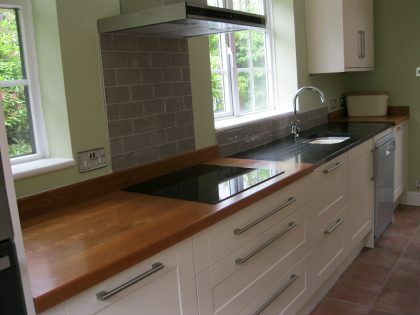 Bordercraft wooden worktops are crafted from solid planks of kiln dried timber, not small blocks. 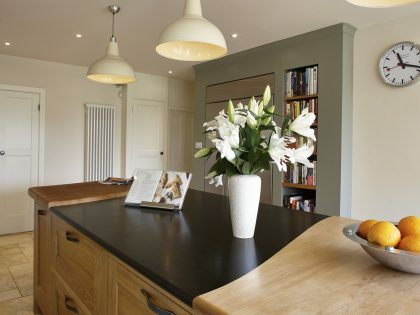 The result is a much more aesthetically pleasing surface that sets your kitchen apart from mass market surfaces. 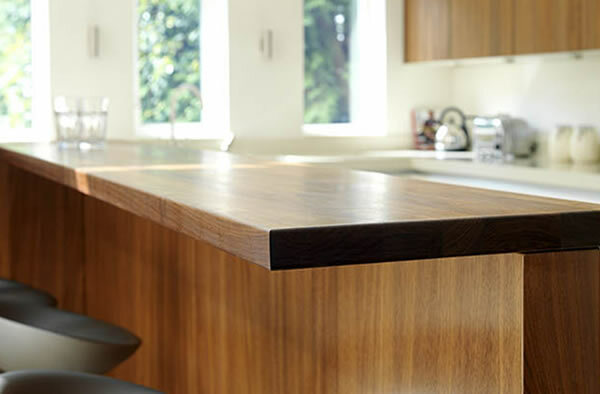 Our worktops are available in any thickness between 30mm and 40mm with our standard being 40mm. 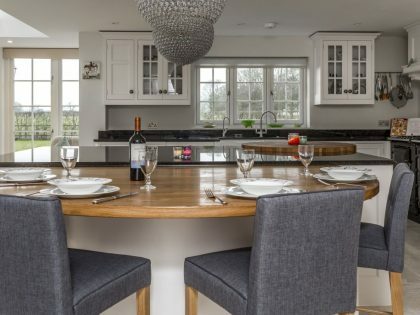 Every order is a one off – made to your precise dimensions and detailing. 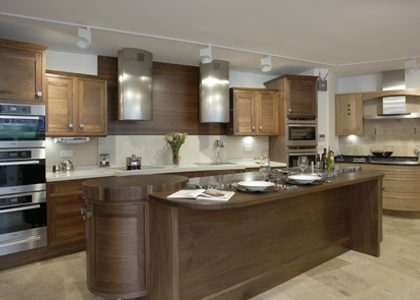 From timber selection to final finishing, orders are fulfilled by our team of experienced craftsmen. The whole layout is fully assembled for fine finishing before dismantled for dispatch. 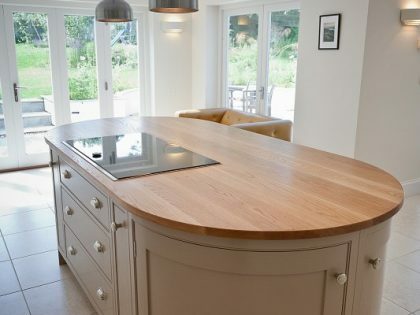 For a bespoke wooden worktop that exactly fits your requirements.